Jane Maxwell suffered from a progressive neurological condition known as Friedreich’s ataxia. 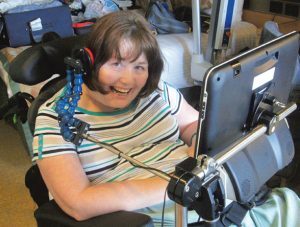 Unable to walk and confined to a wheelchair as a teenager, her condition worsened, slowly but cruelly, as each year passed. In spite of her problems, Jane graduated from university, married, had a baby, and travelled the world. The painstakingly slow nature of the deterioration, over decades, made each successive loss all the more devastating as Jane’s ability to walk, stand, dress, wash, push her own wheelchair, hold a pen or cup, type, feed herself, speak, hear and communicate all went in turn. Losing speech and hearing were, for Jane, the most isolating and distressing symptoms of all. This is the Facebook page for Forever Yours. Please visit this page for all the latest news and updates relating to the book. 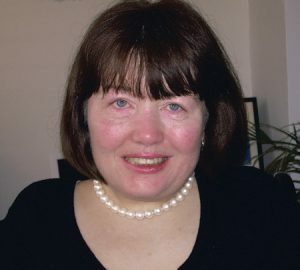 Here you will find details of fundraising events for Ataxia UK, photos and videos about Jane and her story, and links to press coverage, including TV interviews.